Announcing Holiday Book Giveaway 2015! 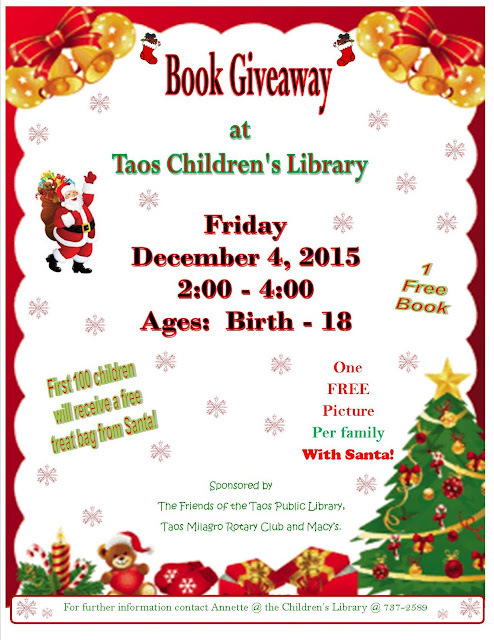 Come join us at the Taos Children's Library - Friday December 4th 2015 from 2:00pm to 4:00pm. 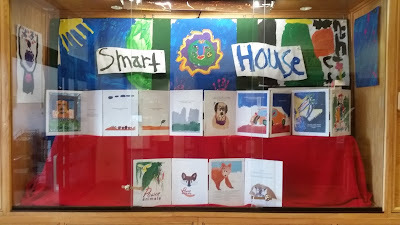 One free book per child (ages 0-18). Also, one free photo per family with Santa. The first 100 children will receive a free treat bag from Santa. See you there! Contact Annette Montoya at 737-2589 for more information. 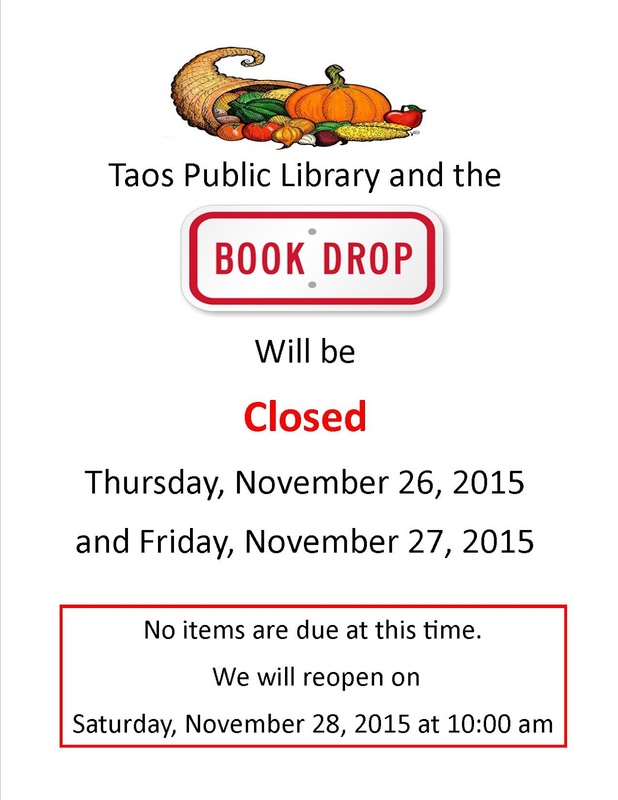 Each month, the Taos Public Library offers the free use of our Lobby Display cabinet to non-profit organizations.. If you would like to schedule a month to use our display cabinet, contact Tami Concha at 737-2596 for more information. 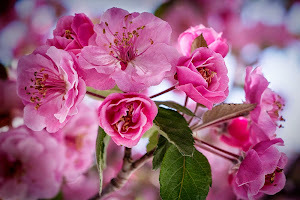 It’s no secret nowadays that indigenous people all over the world face serious problems, to say the least, but in this newsletter we’ll concentrate on those of what is now the United States of America. 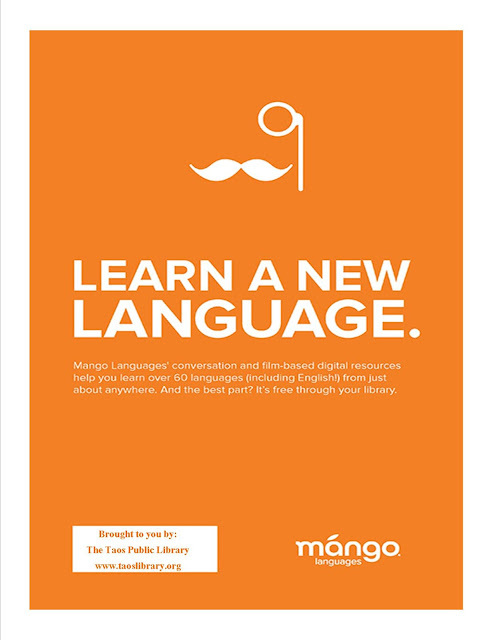 Explore our website at www.taoslibrary.org . Learn one or more of 60+ languages with Mango! It's free! This is an interactive digital resource brought to you by the Taos Public Library.